Enjoy a night with the whole family. 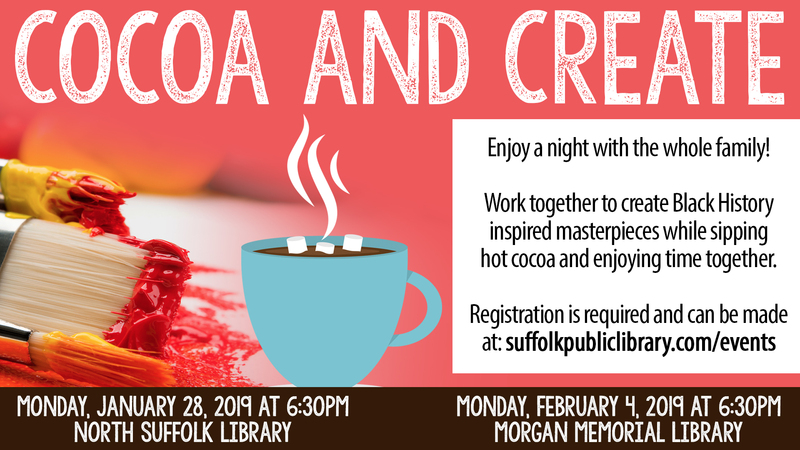 Work together to create black history inspired masterpieces while sipping hot cocoa and enjoying time together. Registration is required.